Time and tide waits for no man, so does your projects and clients. You can’t afford to put your projects on hold until you have your team in place and neither can you expect your clients to wait until you send them the right candidates. In this fast-paced digital world, everything happens very quickly and the battle to find the right candidates also is very fierce. So whether you are a corporate recruiter or a third-party recruiter, you got to be smart enough to keep up the pace and always be ready to face the challenge. This is one of the major reasons why you need to build a highly-targeted database of qualified candidates. When I say candidate database, it is not just a bunch of resumes sourced randomly. A candidate database is a large pool of “highly-targeted” qualified candidates sourced meticulously based on the industry, domain, education, skill set, experience, geography, etc. along with their complete contact information. This helps you to build lists of candidates based on various criteria. Once you have a job opening or get a job order, you can straight away reach the candidates available in the list. You don’t have to waste your precious time by starting from scratch. This sounds good, but how easy is it to build a candidate database with complete contact information? It’s definitely not that easy. You got to spend a lot of time to source resumes or candidate profiles based on various criteria from various sources. Sourcing candidate profiles itself will take a lot of your time and then you need to screen and transfer them to your database. So it is a time-consuming and tiresome process. This is where a recruiting software such as ResumeGrabber JobSuite can help you build a highly-targeted database of qualified candidates. Source candidate profiles from various sources such as search engines, professional/social networking sites, job boards, etc. You can source candidate profiles based on various criteria. All you need to do is just enter the keywords and click Find. Once you get the results, click Grab to extract the resumes. The candidate profiles along with their contact information are extracted to ResumeGrabber JobSuite grid. You can also screen and shortlist the candidates. You can also find the missing email and phone for your candidate profiles. With a single click, you can instantly transfer the candidate profiles to your database. If you don’t have a database or ATS, ResumeGrabber JobSuite enables you to create folders and save the candidate profiles in them. What’s more, you can check for duplicates and even send emails to your candidates and clients right from ResumeGrabber JobSuite grid. With ResumeGrabber, building a candidate database is a breeze. Folks, what are you waiting for? Download your free version today and try it yourself. Recruiters can liken themselves to a coach in a football team. What? Imagine that you are the coach of a football team. Your team is playing an important game and suddenly one of your players gets injured. In no time you replace the injured player with a player from your dugout. Why? Because you can’t afford to allow your team to play without one player even for a short period of time as it would have an impact on the outcome of the match. And, how were you able to do that? Because you had access to a set of players already lined up on the bench as substitutes. The same holds true for recruiting as well. Irrespective of whether you are a corporate recruiter or third-party recruiter, you got to always have access to a set of targeted candidates, like the football coach, to quickly place them as and when the need arises. This can do a world of good, especially when your company or your client company are working on mission-critical projects. To accomplish this, you got to build a targeted talent pipeline. Yes, these are valid reasons. You got to spend a lot of time and resources to build a targeted talent pipeline. As recruiters are often busy with a lot of other tasks, building a talent pipeline is definitely a challenge. This is where a recruiting software such as ResumeGrabber JobSuite can be handy. Once the results are displayed, click Grab. The candidates along with the candidate contact information are extracted to the grid. You can append missing email and phone number of your candidates. A list of targeted candidates along with their contact information is ready in just a few minutes. You can also instantly transfer the candidate profiles to Excel, Outlook, PC Recruiter, Salesforce.com and ACT!, etc. ResumeGrabber JobSuite helps you to save a lot of time & resources and gets you to place candidates much faster. Every now and then, it feels Great to speak to customers who have been with us,… like, forever…! That’s why we were pumped to chat with Doug Franklin. Doug’s executive search firm, Epic Business Strategies, has been using eGrabber’s ResumeGrabber and ACT ever since he started business in 2004! So we just “had” to get this story out. Doug’s firm specializes in “difficult-to-fill” positions in Sales/Marketing, Engineering, Supply Chain and Logistics domains. He dominates the retained search and recruiting of mid to senior level positions, in his niches. Simplify your resume import from social networks and job portals. 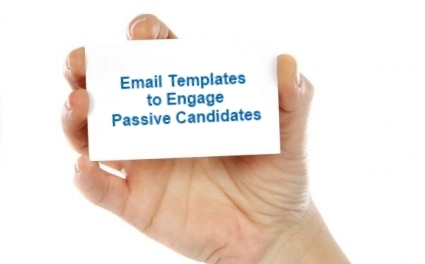 You can find a huge pool of passive candidates on sites such as LinkedIn. But in order to be successful, you got to reach them and engage them to evoke a response. Experts say that the best way to reach them is through email even before you call them. But remember, you have only one chance to make a lasting impression. So you have to carefully tailor your email message that engages your prospective candidates and prompts them to respond. Here are 4 free email templates from Staffing & Recruiting expert Dean Da Costa that can help you get 70% response from passive candidates on LinkedIn. I heard some recruiters & managers ask, now that we have subscribed to LinkedIn Recruiter, do we need an ATS too? If we have a LinkedIn Recruiter account, why do we need to store resumes anymore? Why not treat LinkedIn as our corporate ATS – track and search candidates as required within it. ATS for 3rd party recruiters forms a great audit trail. How do we, at eGrabber, know what recruiters are thinking? Our sales and business development folks talk to hundreds of recruiters every month. We provide tools for recruiter to import resumes from any job-portal, website, folder or search engine into an ATS. Our tools helps find emails, phone numbers and other contact details. We also provide tools to check for backdoor (unreported) placements. Finding the e-mail address and phone number of passive candidates sourced from different social networks. Finding the name, e-mail and phone of hiring managers in targeted companies to market their candidates. Arming oneself with the right intelligence to engage with purple squirrels and other niche clients. Account-Researcher was recently ranked as # 4 in Top 14 Social Media Tools Used by Marketing Pros, in an online networking forum of 220,000+ members, read full review here. Finding the E-mail Address and Phone Number of Passive Candidates. The Account-Researcher tool is perfect for recruiters who dive into different social networks for sourcing passive candidates, after hours of name sourcing, recruiters end up with only names of candidates and no actionable information. If you enter the name and the current company of the candidate and click a button, Account-Researcher can get you the e-mail and phone# of the passive candidate; unlike social networks which allow you to send messages to passive candidates only if you pay a premium. Account-Researcher gives you access to the e-mail id of the candidate, can be used to get in touch with the candidate any number of times. If you are an account executive associated with the business development side of a recruiting firm you will constantly find yourself starting your prospecting with the names of the companies that you want to market your candidates to. Enter the name of the company and the title of the decision maker you wish to talk to. Account-Researcher will give you the name, e-mail and phone# of the hiring manager. How often you have found yourself in this position? You have felt awkward starting a conversation with a potential client or candidate because you are not equipped with the research information to engage them over the phone? Account-Researcher aggregates a set of quick links that you must know about the candidate / prospect before the initial phone call or e-mail, gives you information about the prospects from blog mentions, press releases, white papers and other relevant social links. Account-Researcher DOES NOT access information from a pre-made contact database. It sources its contact information from the trillions of documents on the World Wide Web. eGrabber has also patented this process, read US patent here. eGrabber, is hosting a webinar on the best practices of using this tool exclusively for recruiter on October 17, 2013 at 10:00 AM PT, session chaired by Eric Randolph , Executive Director of United States Staffing Association. 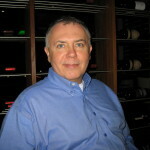 Join us to get inputs from this industry expert.